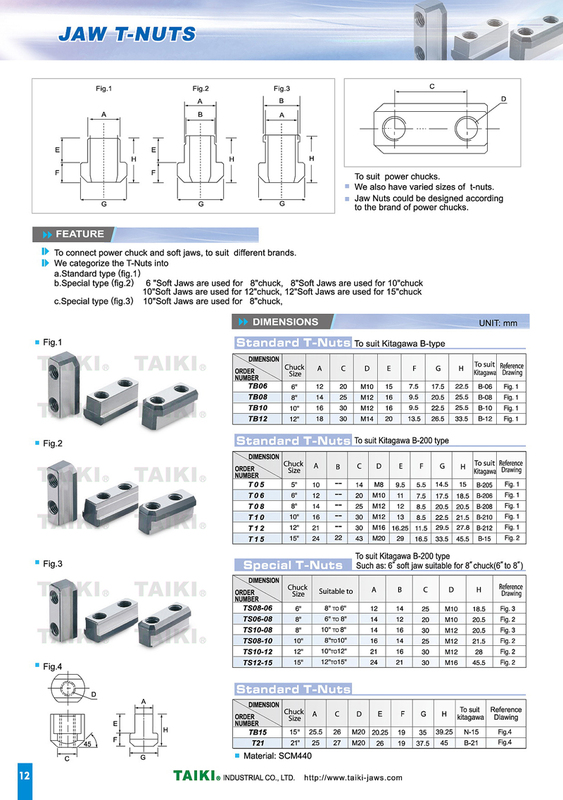 Jaw Nuts (T08) - Taiki Industrial Co., Ltd. 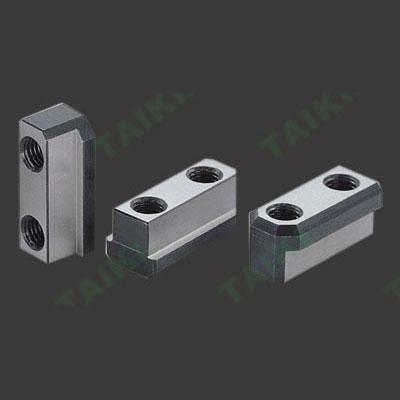 The jaw t-nuts (T08) are suitable for Kitagawa B-208 Chucks. The jaw t-nuts is connecting with power chuck and soft jaws. 12" soft jaws are used for 15" chuck. 10" soft jaws are used for 8" chuck.